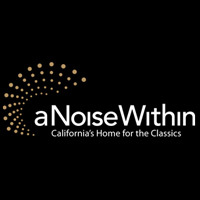 A Noise Within is southern California's award-winning classical theatre company known for presenting first-rate productions of Shakespeare, Molière, Shaw, Chekhov and classic American playwrights, among others. Hailed by the L.A. Times as "a ravishing company of actors who specialize in the classics", it is one of only a handful of theatres on this continent with a resident acting company performing in rotating repertory. The resident company is an essential component of the artistry and uniqueness of A Noise Within theatre.